If there was on holiday food memory other than cinnamon rolls, it was making a rum cake with my mom. It was nothing fancy nor was it a family secret. Nope, it was the classic 1980’s Bacardi Rum Cake recipe. It was moist, boozy, delicious, and had the shelf life of a fruit cake. I loved making it with my mom. She let me handle the cake, but the making the glaze was on her. In either case, I loved it and was hoping for the same awesomeness in this box. Unfortunately, that wasn’t in this box. No awesomeness. Heck, Bourbon is the last ingredient, but I should have known something was up before reading the ingredients. I’ve been IDed for buying wine, Brandy Beans, the Chocolate Liqueur Cherries, and the Boozy Assortment of Truffles. I tell people I’ll be celebrating the 16th anniversary of my 21st birthday when asked how old I am. This had less boozy flavor than the Truffle Mousse Pate. Neither the purchase of this nor the pate required me to show ID. So what you have here is a subtly spiced cake. There is a hint of smoky flavor, but that is where it ends. 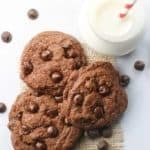 If you are wondering, yes, I tried the batter. I’m not saying you should do this. This is what we did as kids. I haven’t died yet. And no, I’m not endorsing you do this. There is salmonella out there. So, I knew the bourbon flavor had to be brought in. Consider this cake BYOB- Bring Your Own Bourbon. The batter is thick, but not pound cake thick. I did modify the recipe a touch- I didn’t use a Bundt pan. I chose mini cupcakes because I don’t own a mini bundt pan. I also opted for the pecan cake filling. It would add a few more tablespoons of bourbon. Why mini cupcakes? Sometimes you just want a bite. Sometimes you remember that one relative who you asked you how big of a piece you’d like, you’d answer a “sliver” and they would plop a huge pieces on your plate. Then you were awkwardly stuck with a slice you literally only wanted a bite of. The mini cupcakes took between 18-20 minutes which was a welcomed time savings as well. Now, if you follow the optional cake filling, it makes a lot. I had lots leftover, but it would probably work better in a bundt pan. What came out of the oven was a moist cake that wasn’t bourbon-y. The filling didn’t even lend much bourbon flavor either. But what pulls it together is the glaze. That is literally where all the bourbon flavor was. 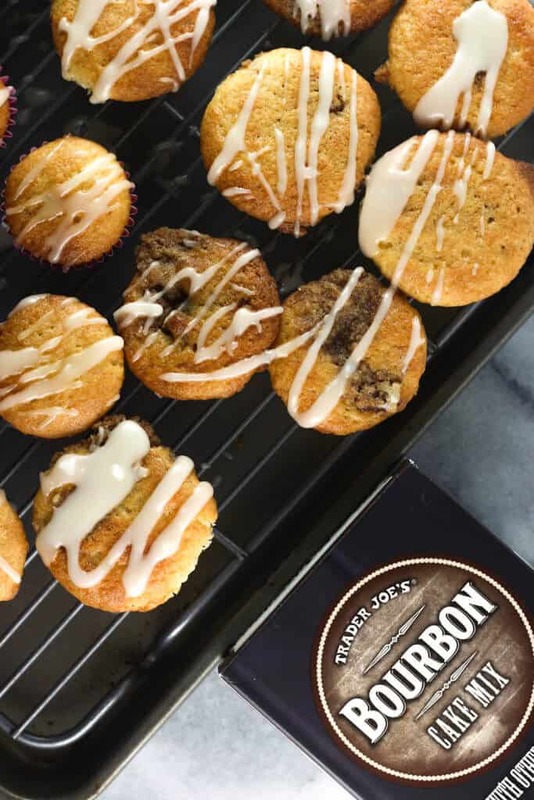 It makes sense as that is the only bourbon that wasn’t cooked, so you are left with the straight out of the bottle taste with the addition of butter and powdered sugar. Overall, it made a moist cake, but I didn’t knock it out of the park for me. 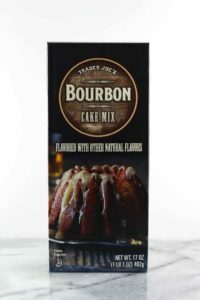 In fact you can probably accomplish the same thing with regular cake mix and the same glaze recipe of powdered sugar, bourbon, and butter. For $3.49, I bought 2 boxes. Update: I made the second box in a bundt pan. So here are a few quick notes about this: the cake is still moist but lacks the bourbon flavor, the barely filled my bundt pan half way and didn’t rise all that much. 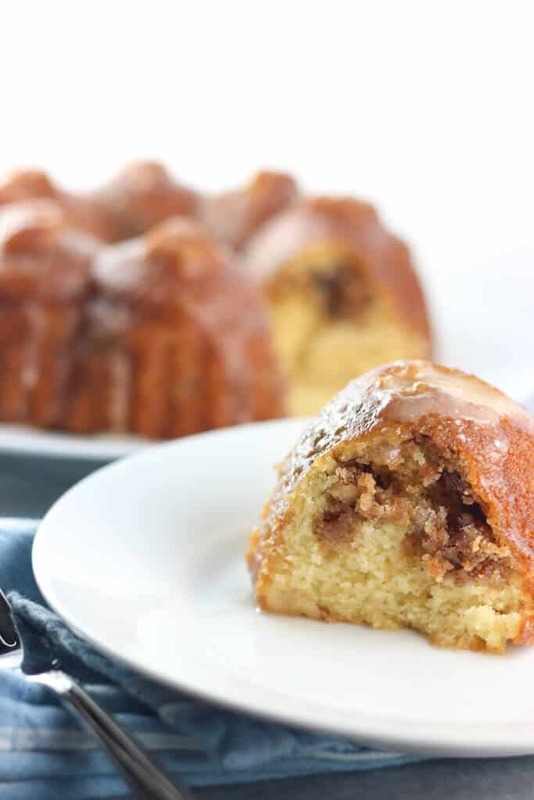 The optional filling is absolutely worth doing to bulk up the cake as well as add a nominal amount of bourbon flavor, but once again, the bourbon flavor is really from the glaze. And yes, there is a lot of glaze. I’m secretly hoping this cake will age well like my beloved rum cake. I’ll bump this up from my original 2.5 stars out of 5 to a solid 3.33. The dimensions made a difference. That being said, I’m not sure I would attempt a mini bundt. Would I buy this again? It’s just alright. This may still need some modification on your end to really make this shine. If I didn’t have the time to make a rum cake, this might actually make for a decent alternative. Notice the last ingredient. Not much bourbon flavor in this. This is BYOB. 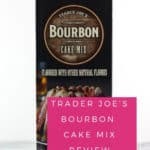 Product Description: Trader Joe's Bourbon Cake Mix is a mildly spiced cake mix with the final ingredient being Bourbon. Unless you add more. 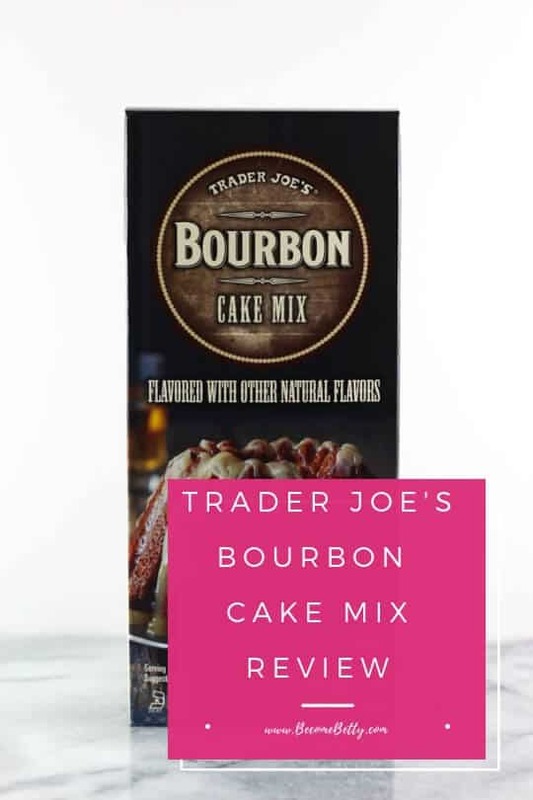 Trader Joe’s Bourbon Cake Mix is a basic cake mix that will get your inner Julia Child excited, only to be dashed by realizing Bourbon is the final ingredient. 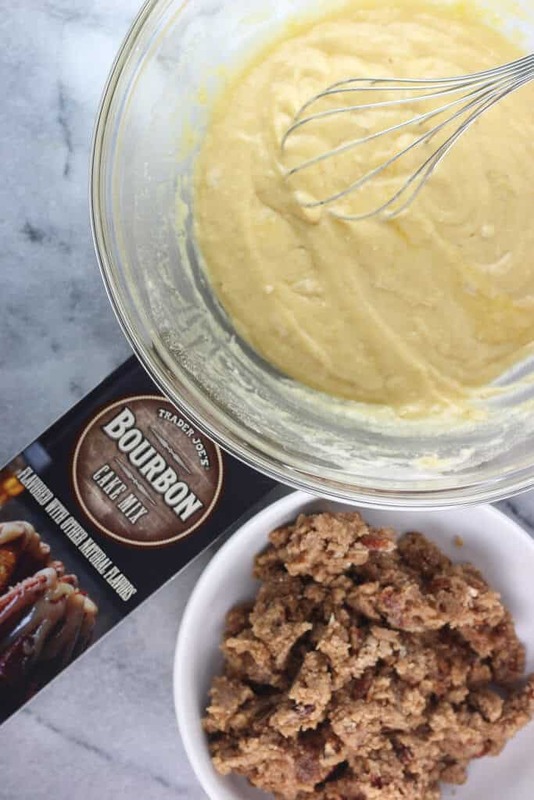 To which most of the bourbon flavor will found in the glaze. Ready in a reasonable amount of time. Nut filling helps this a lot, but might not make this dessert for everyone. Did I mention Bourbon is the LAST ingredient? Wow….this is disappointing to hear. So far the seasonal offerings have been somewhat disappointing so far this year. 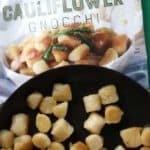 There are two non- freezer/non-refrigerated items I have tried that I truly like which you haven’t reviewed yet though. Oh, and don’t even get me started on how bad the frozen spicy shrimp appetizer duo was. Yuck! Last year already seems much better. 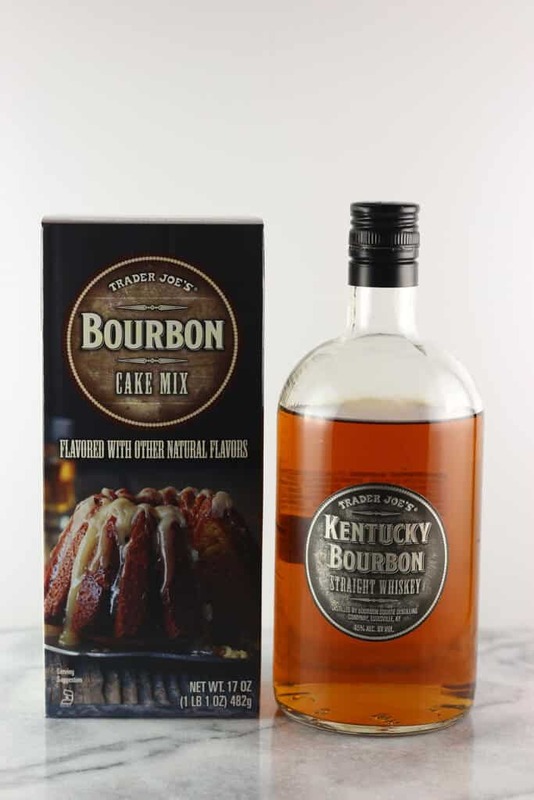 I think better to splurge on the $19.99 Kentucky Bourbon Barrel Cake. I haven’t tried that yet but maybe that would be better. I think of adding some pecans would improve this. Or even bourbon aged maple syrup. Even maybe shoving in brandy beans in the center of the cupcakes before baking would kick that booze factor up. Hey Alek! I’ve heard good things all around about that cake, but haven’t seen it yet. I made it again tonight and it came out better in a bundt pan. It’s good, but still has its disappointing elements for me. Thanks so much for stopping by! Oh nnnnnnooooooo. Lol….. I just bought two boxes of t he shrimp spicy appetizer duo because it looks so good. I was waffling between that and the vegetable purses appetizer.Oh well. My two favorite things were the giver granola-it is awesome but truly like ginger to appreciate it. The other one was the almost gone Turkey, Stuffing and Gravy Kettle Chips. 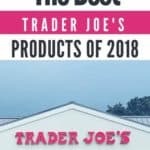 I was in the store staring at the display a couple of weeks ago and a crew member was racking up bags of chips and asked if I had tried them. I said no and he opened up a bag and had me try them. I thought they were awesome so I picked up a new bag and said I was going to bring some to work for everybody to try. He said well here take this open bag for free also so I essentially got a free bag and I bought another bag. Dangerous chips to have around. You really do taste all of the componets. And tonight I bought the horseradish and chive chips. Didn’t try them beforehand but did open the bag at a traffic light on the way home- LOL. Ate about ten and closed the bag. Had to leave the bag in the car so I wouldn’t eat them all tonight. Hey Dag! I remade the bourbon cake tonight. It’s improved, but it didn’t knock it out of the park for me. The purses were pretty good. I had those for dinner tonight. I’ve had the turkey, stuffing and kettle chips. Dip them in some cranberry relish. It’s like Thanksgiving on a chip! And yes, the granola my husband ate. He’s been chowing down on that bag. I had like a bite or two. And yes, gingery is right. Thanks so much for stopping by! Hey Dag! I’ve been looking for those too! I haven’t been able to find them. Maybe in a week or so, they’ll be back. Thanks so much for the heads up! I have the spicy shrimp duo tonight. 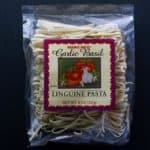 All I can say is ho-hum and a lot of lemongrass. There is nothing spicy about them. They could have at least Incorporated a sauce to dip them in. In my opinion not worth the money but I’m eager to hear your opinion. The champagne gummies— I had one of the brut ones and at first I was like I don’t get it but I really let it set in and could taste the brut champagne. I need a few more to formulate a complete opinion. After one of those I had a couple of the chocolate peppermint mini cones. My first ones. Oh my gosh they are awesome. I made this cake a few days ago in a bundt pan. I agree it produced a very small cake. 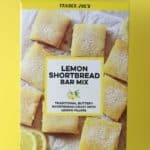 Taste and moisture is much better than many of their cake mixes. My husband like it (I only added a small amount of whisky to the drizzle. I didnt think our kids would like it. One did one didn’t). I plan to make it again and forgo using the butter in the topping. Just the whisky and powdered sugar mix. I may try the pecan filling and add a tad more whisky to the mix, to kick up the taste. I think adding a tablespoon would do the batter harm. Hey Tam! Thanks for stopping by and sharing this! Your experience sounds a lot like my own. I’d still like to hear how your 2nd batch turns out. 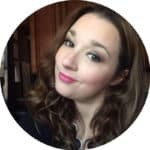 Thanks so very much for taking the time to stop by and share! I wonder, can I add a tablespoon of bourbon to the cake mix? Hey Busy! I don’t see any reason why you couldn’t. I did with mine. A lot of it seemed to cook out and most of the Bourbon flavor came directly from the glaze. I hope that helps! Thanks for stopping by!